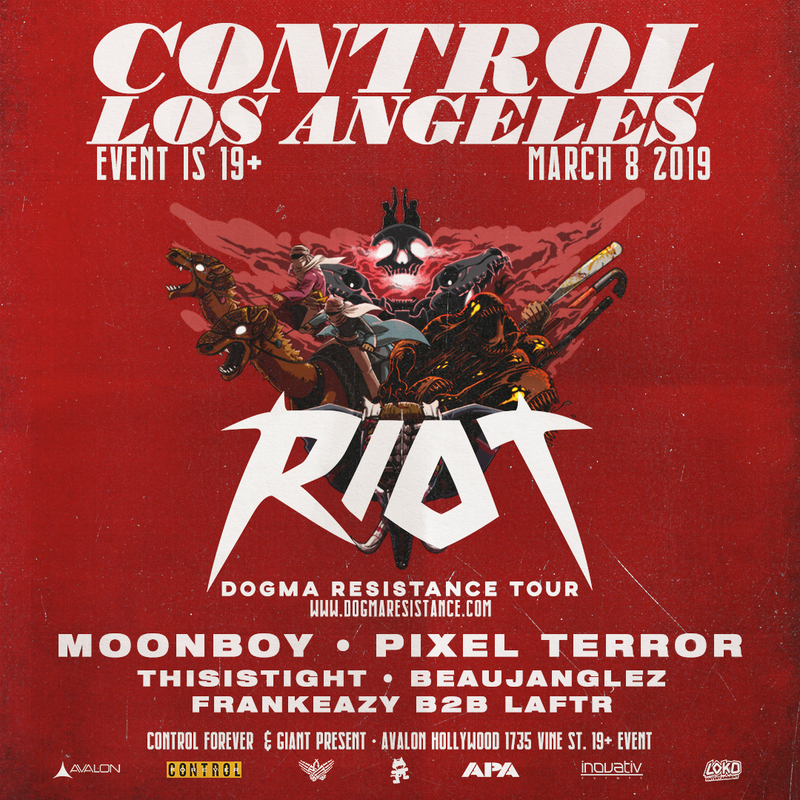 On Friday, March 8th, Israeli Dubstep duo RIOT stops at AVALON Hollywood as part of their Dogma Resistance tour. It’ll be a bass-filled edition of CONTROL Friday! RIOT is newer to the Los Angeles area, so you can be sure that they’ll be putting on an unforgettable show where they’ll truly prove their talent. RIOT have been featured on tracks with reigning bass producers Kayzo and SLANDER and have already reached the #1 slot on Beatport’s Dubstep, Hip-Hop, and Glitch charts with some of their own most-popular tracks. Their most recent single “Jungle Fury” packs a punch and showcases just what they can do within the dubstep genre. While they’re still relatively fresh to the scene and recently relocated to Los Angeles, they’ve seen major success within a short amount of time. RIOT brings a fresh new spin to bass music with their high-energy and fast-paced style that is recognizable in all of their tracks, but if you’re new to their music, check out “Wake Up (RIOT VIP)” and “The Mob,” to get a head first dive into their original sound. They keep things interesting while still remaining true to the heavy bass that all dubstep fans alike love. They have played alongside some of the most successful DJs in bass, such as Borgore, Zomboy, and Dirtyphonics — this is just the beginning for them. They are quickly climbing the ranks with their innovative sounds and we can expect to hear more great tracks from them soon. Don’t miss this night full of filthy bass sounds. 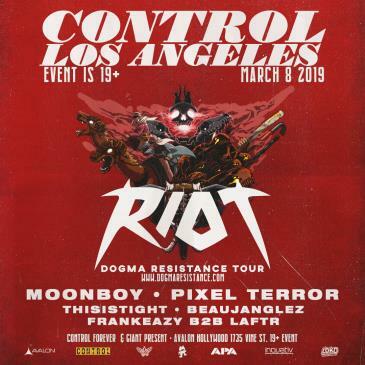 Get your tickets to see RIOT at AVALON Hollywood on Friday, March 8th!